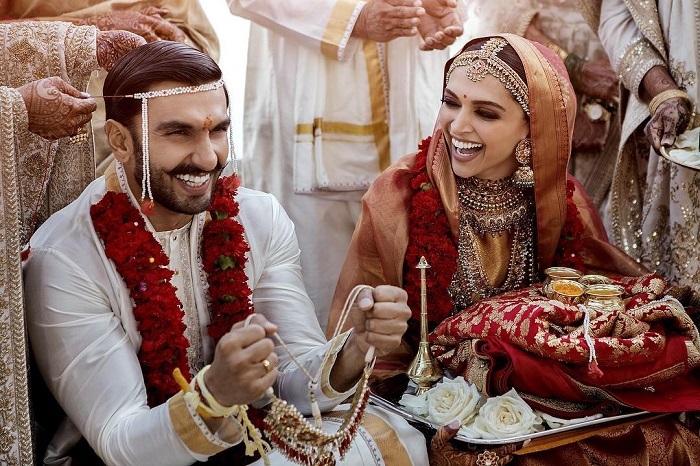 We wish the new couple Deepika Padukone & Ranveer Singh, all the joy and happiness they deserve as they embark on this new journey of love and friendship. It was on the sets of Sanjay Leela Bhansali’s Goliyon Ki Rasleela Ramleela where the two of them met 5 years ago and that’s how they started their journey of love. Finally after much anticipation, they release their wedding photographs and they look absolutely amazing! Both the bride and the groom have taken to twitter to share their photos of their solemn occasion. Wish Deep-Veer a happy married life!